Some of the world's most recognizable companies turn to Dexmet when developing applications with expanded metal foils and plastics. Dexmet expanded materials are highly configurable to meet your specific application requirements. Let us produce expanded metal foils and plastics that match performance characteristics for your dimensional, conductivity, weight or strength demands. 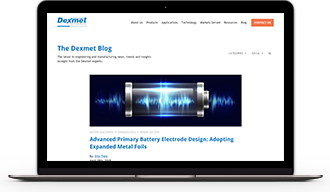 Dexmet provides MicroGrid® versatile expanded materials for electrodes in primary and secondary battery applications, fuel cells & hydrogen electrolyzers. Download the Expanded Metal Terminology Data Sheet! Design Considerations For Your Applications. The 2019 JEC World Trade Show and Conference is the largest composites event in the world, to be held at the Paris Nord Villepinte Exhibition Center, in Paris, France on March 12-14, 2019. The JEC trade show and exhibit bring together more than 1,300 exhibitors from over 115 countries, has over 43,000 visitors/attendees, includes 27 regional and international pavilions, and over 150 conference sessions that feature and discuss many of the established and new materials, machinery, services, software, and services that are shaping the global composites industry today. Those attending JEC World will be focusing on what it considers the hottest topics in the industry: additive manufacturing, aerospace, architecture and construction, automotive, simulation/design, sports, and leisure. Dexmet has proudly exhibited at JEC for close to a decade, each year our focus is to help those attending understand the resources and innovation that companies like Dexmet pour into research and the development of new materials that are implemented and used in the growing field of composites. Dexmet has spent considerable effort in the development and fabricating of expanded materials that are used by manufacturers of composite materials and end-products that are engineered and implemented in automotive, aerospace, cathodic protection, shielding, and power applications in both the commercial and consumer space. The JEC show floor will also have four “Innovation Planets”. These are highly focused display areas featuring aerospace, auto and transport, construction and energy, sports and life style (which includes energy, sustainability, medical and other markets). The Planets allow companies or R&D centers to present novel and innovative parts or finished products to OEMs and suppliers visiting the show and reflect the latest trends in each industry area. Many of the companies that are showcasing their finished or end-products have sought out solutions from Dexmet to help implement expanded materials in their composites to create materials that are lighter, resistant to lightning strikes, provide protection from outside sources of electromagnetic interference (EMI shielding), and that can conform readily to complex surfaces. One of the best features of the show is the Composites Industry Circles, the goal is to unite decision makers in the global automotive, aerospace and construction industries around the development of composite materials in their respective sector and to provide end users with the latest information, trends and experience on composite materials from the entire value chain. Dexmet is at the forefront working with many industry leaders in the aerospace, and automotive sectors in the development of materials that are designed for use in the protection of composite-based aircraft, aircraft components, and hybrid-composites wind blades. This year there are also six technical conferences, that span a three-day period. To learn more about the conference click on this link JEC technical conferences. We at Dexmet hope that you enjoy the JEC Conference, and we wish to extend a warm invite for those who wish to attend, please head to: http://registration.jec-world.events/Compte.aspx?idlangue=en&action=te to register for JEC World 2019, when registering, you will see words: Promotional code, just enter “EXPFREEJW19VF”, no quotes for your free registration to JEC World 2019. Remember to stop by Dexmet and get a chance to talk to our team. Dexmet will be at stand# L58, in Hall 5. For the last quarter century, the Renaissance in manufacturing has depended on innovative and superior designs that let producers excel in terms of product quality, delivery and performance. The pressure on manufacturers to continue this positive trend will almost certainly increase as global competition becomes more intense and raw materials more costly. Dexmet upgrades to AS9100:D and ISO 9001:2015 Certification. In keeping with our mission to become the recognized worldwide leader for foil gauge expanded metal and thin film expanded polymers, Dexmet Corporation is proud to announce that we have received AS9100:D and ISO 9001:2015 Certification for the aviation, aerospace, and defense industries. 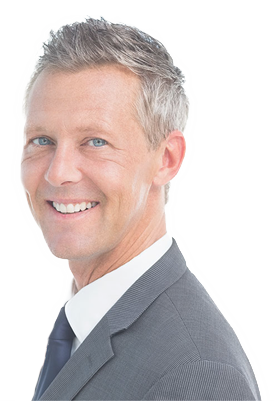 The company subscribes to the standard’s requisite features, including risk management and configuration control, while maintaining a proactive commitment toward customer satisfaction. It‘s not a sales pitch - it‘s a conversation about your application. Subscribe to our blog and never miss valuable insight into how advanced manufacturing methods and materials can improve your products. No thanks, I’m not interested in learning how expanded materials can enhance my product’s performance.